Our new range of professional metal hose reels have been developed by Pure Freedom specifically for the water fed pole industry following extensive research and the lack of any ‘off the shelf’ reels truly able to stand up to the rigours of water fed pole window cleaning. The reels are built entirely by us in-house so you can rest assured that not only are you purchasing a high quality item but you are also dealing directly with the manufacturer. We have designed and built them to be extremely robust with features such as a one piece welded frame (meaning no nuts and bolts to come loose), a one piece hose drum (sides cannot separate or be pushed apart), and an extra strong metal winding handle. You can have them in either left or right handed winding handles, with the standard colour being blue although other colours are available on request. 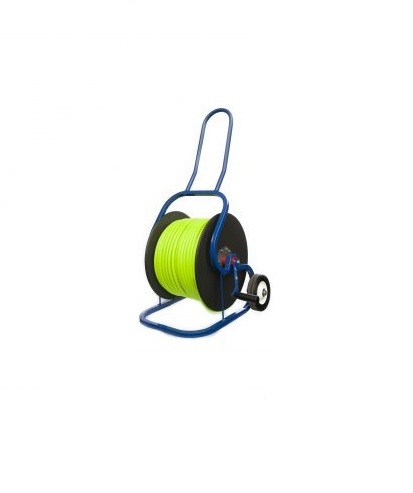 The hose supplied with this item is 8mm bore (13.5mm outside diameter) and is yellow for high visibility; it also has very good anti-kink and anti snag properties. Manufactured by a UK engineering company. Designed and built specifically for the water fed pole window cleaning industry. Heavy duty solid stainless steel centre spindle and bearings. Brass male ‘Hoselock’ type inlet connector. 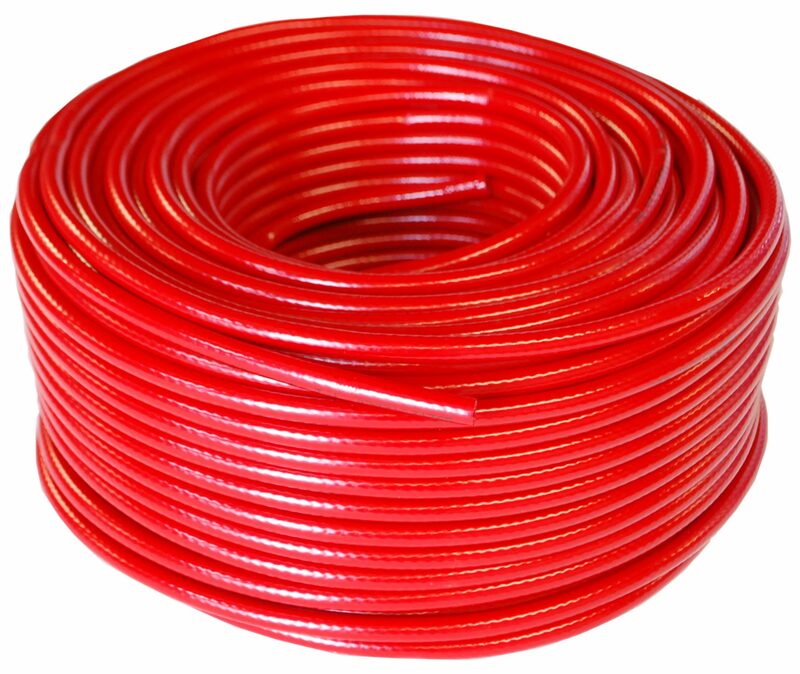 Fitting to wind on 8mm internal diameter hose (please contact us if you require a different size). Tough large plastic wheels for ease of manoeuvrability.